Cut cucumbers into thick strips. 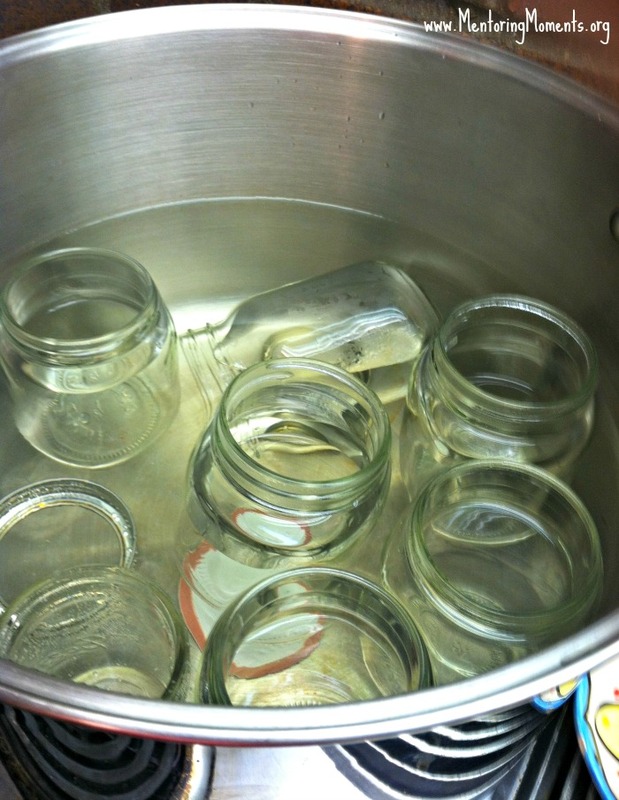 Sterilize 5 quart jars in a large pot of boiling water by submerging jars, lids and tops. 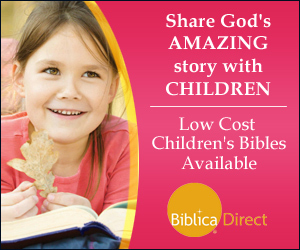 Place 1 stick of dill weed, 1 bay leaf, 2 garlic cloves, 1 Tablespoon mustard seed, and sliced cucumbers in your jars. Pour boiling ‘juice’ over cucumbers until covered. Immediately seal jars with lids and tops and set out to cool. You will know each jar is sealed when the lid pops and you are no longer able to click it. If they do not seal, submerge filled jar in boiling water for 15 minutes then remove to cool. 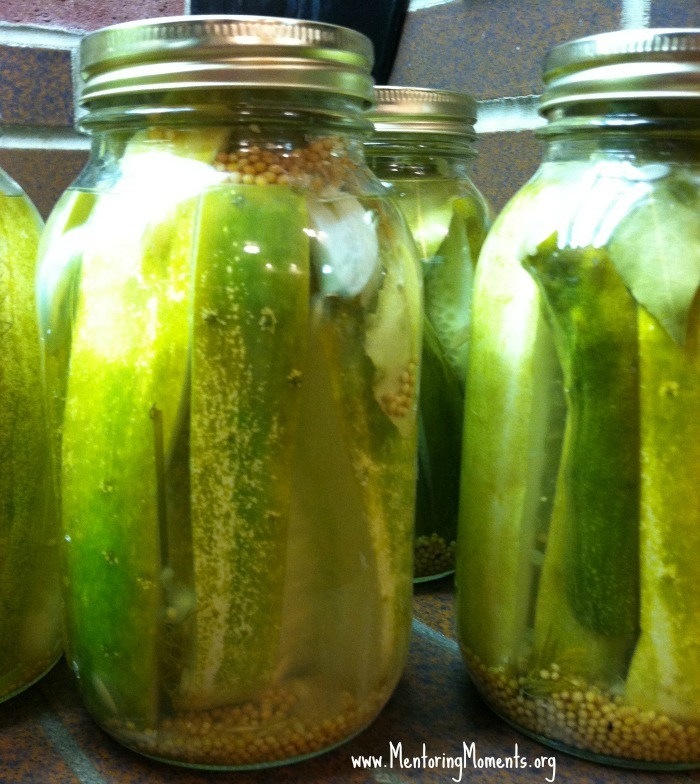 Makes 5 quarts of dill pickles. 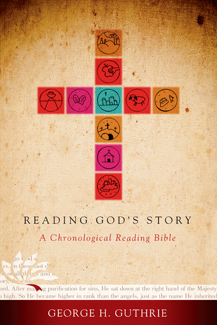 Reading God’s Story Schedule today, 8/22/13: Obadiah, Psalm 82, Psalm 83.